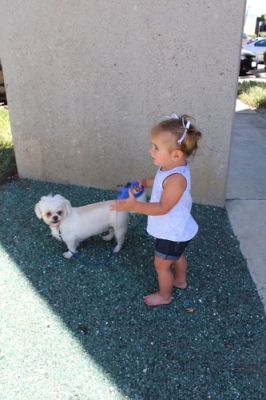 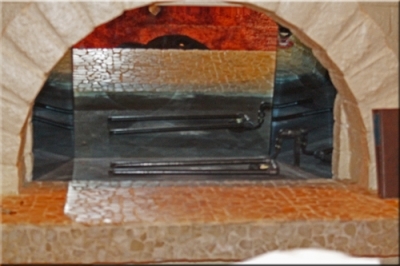 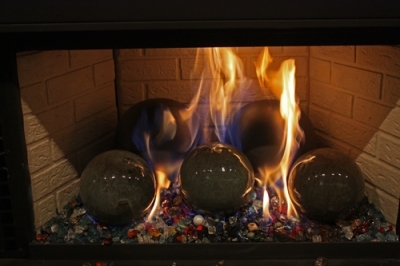 These because of their surface finish, ceramic, these are virtually soot free! 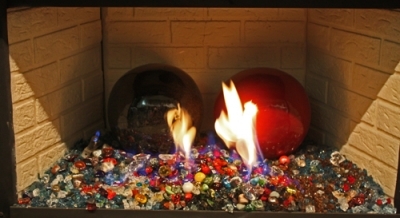 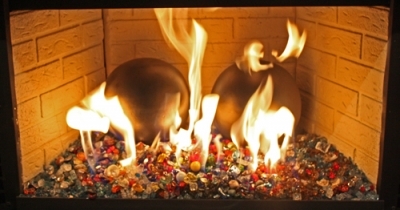 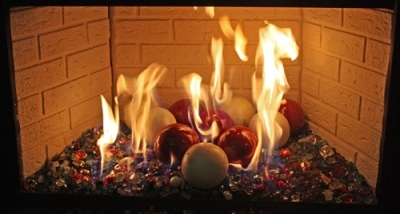 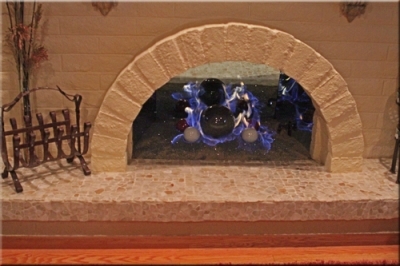 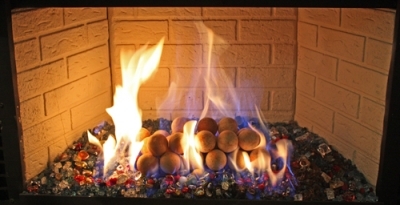 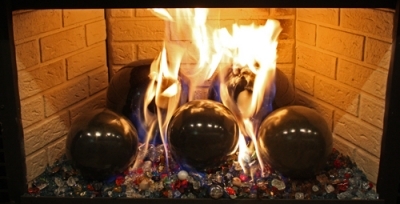 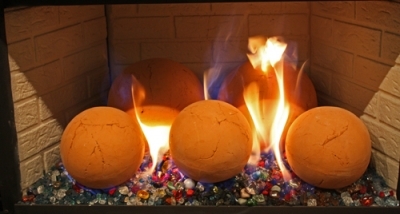 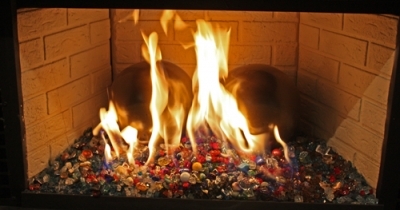 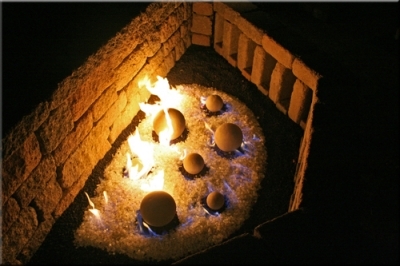 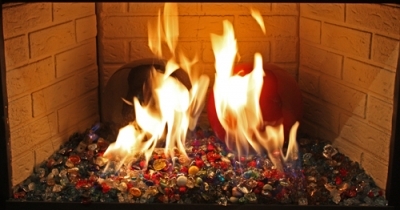 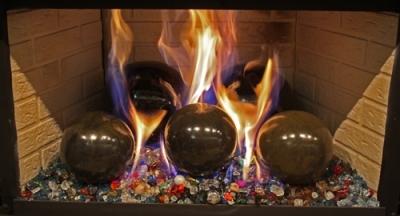 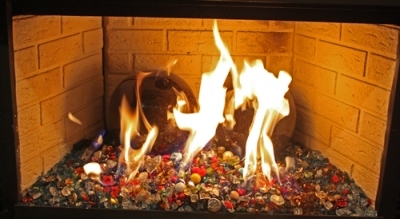 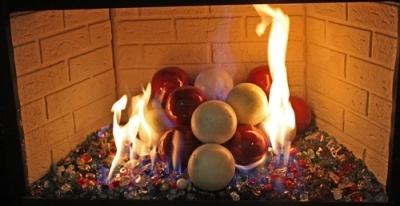 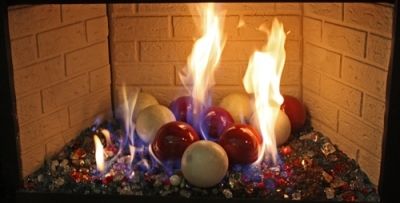 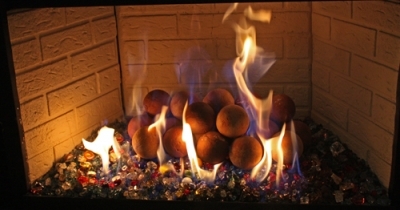 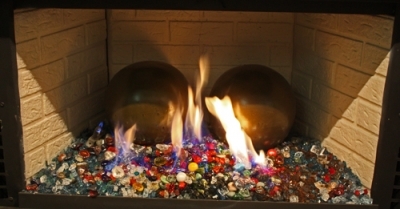 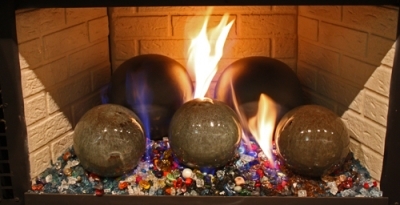 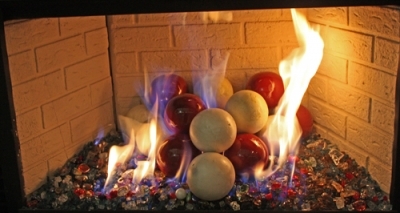 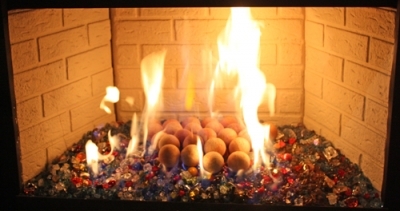 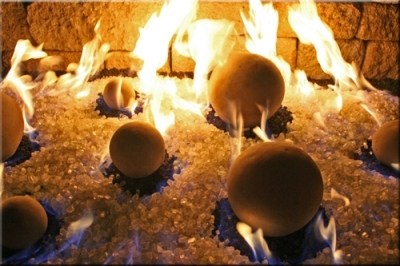 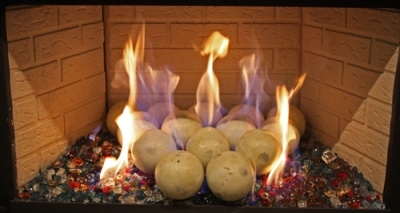 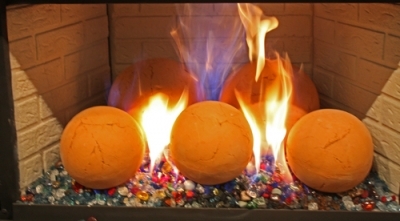 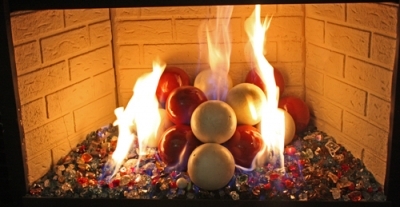 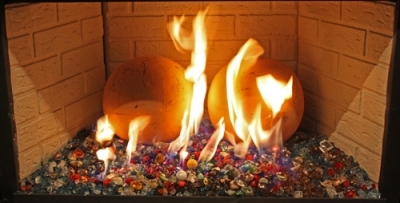 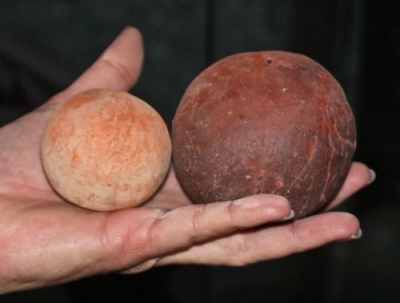 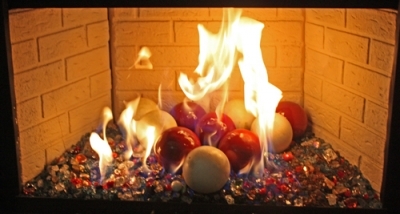 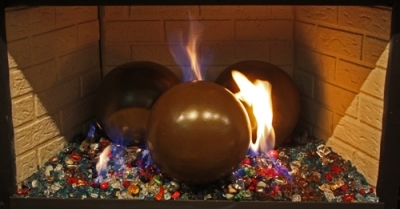 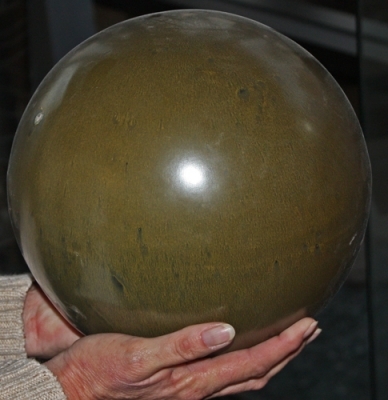 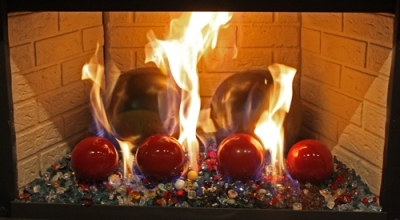 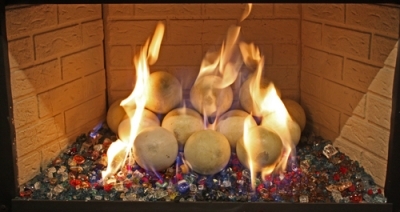 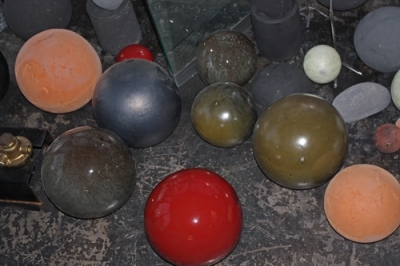 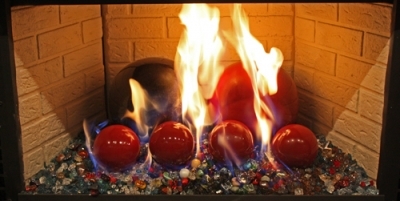 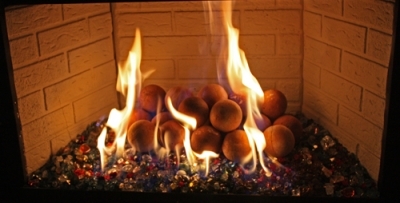 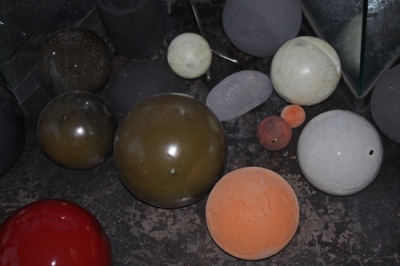 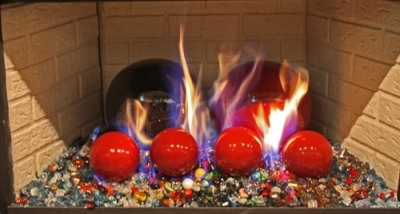 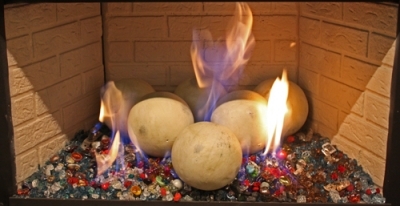 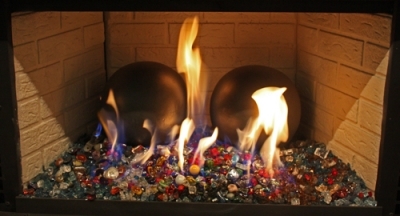 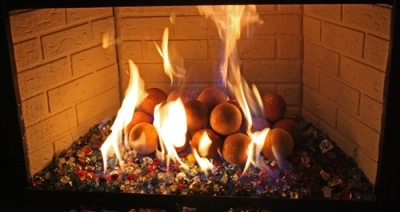 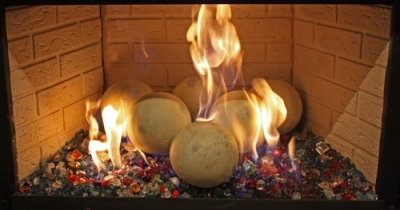 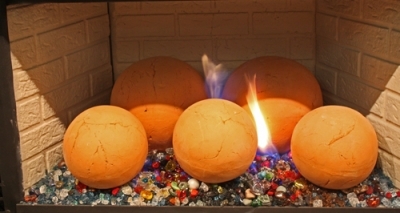 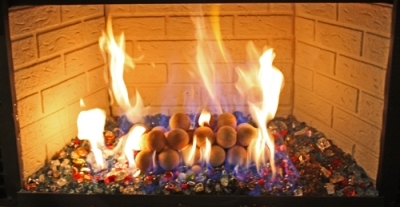 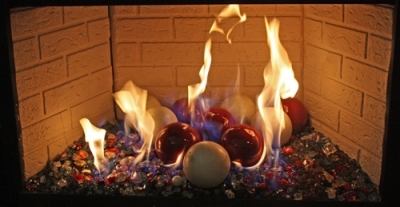 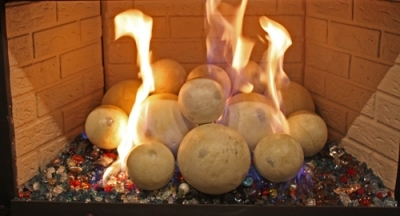 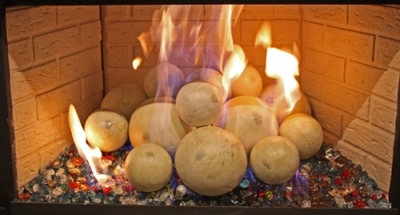 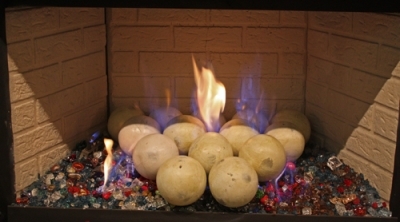 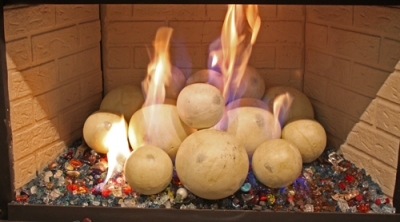 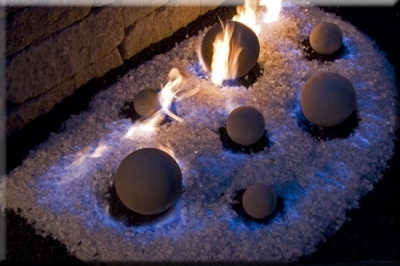 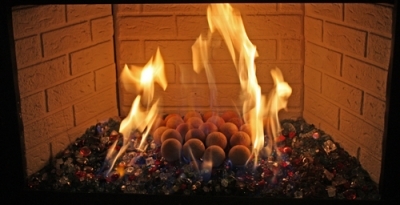 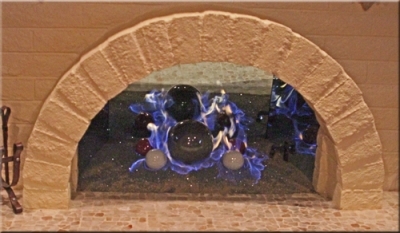 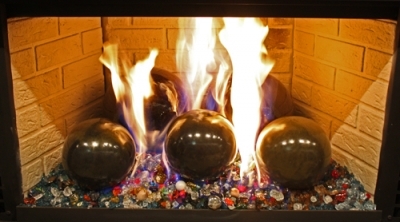 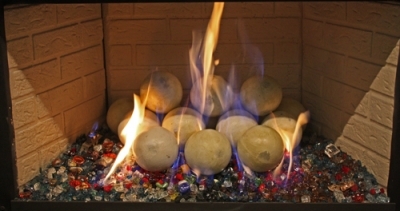 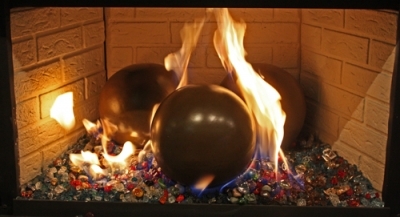 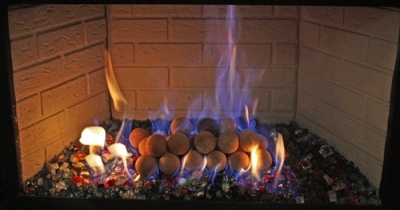 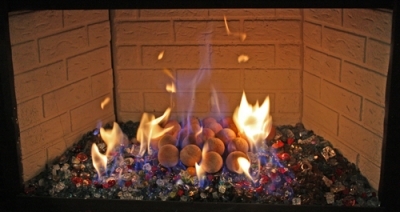 With the proper placement you will never get soot on these Ceramic Fire Balls. 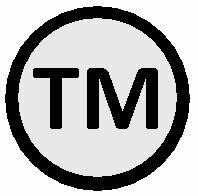 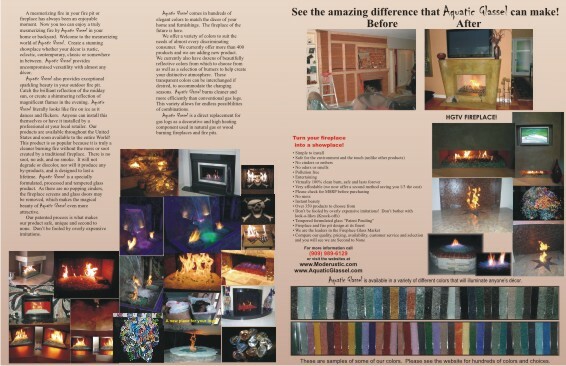 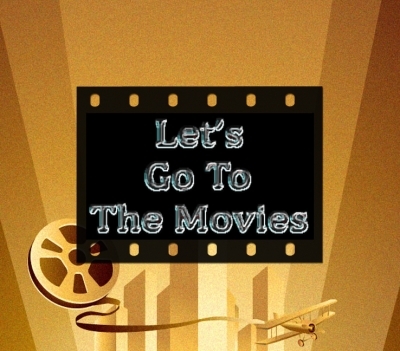 We have tested these for a few hundred hours and with 100% success! 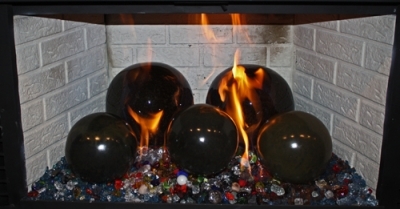 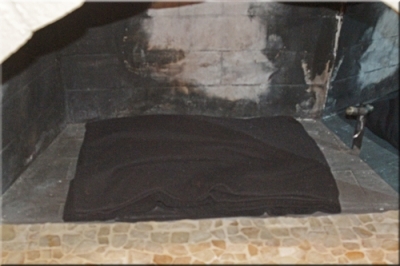 There was a small bit of soot deposit on a few of the fire balls when placed in the middle of the very large flame, but it whipped off with out any effort. 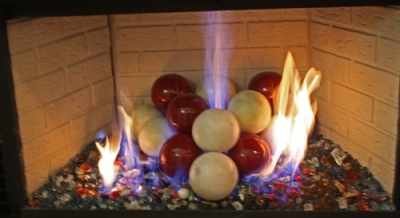 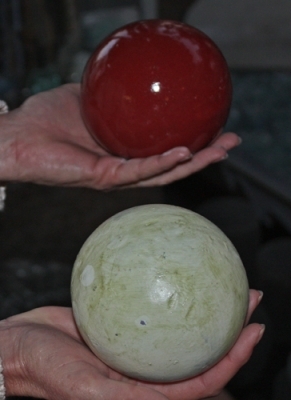 Along with the Ceramic Fire Balls in the center area you will also see our 2 1/2" Diamonds being tested as well. 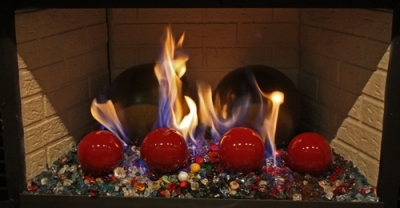 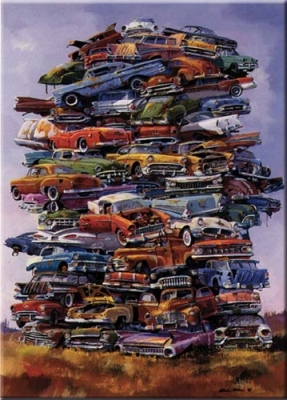 These were tested in the shop/ showroom with great success. 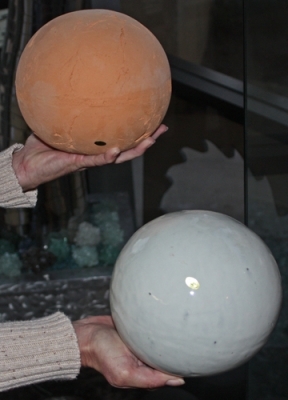 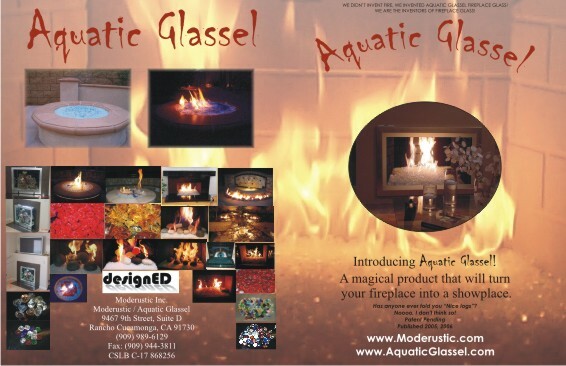 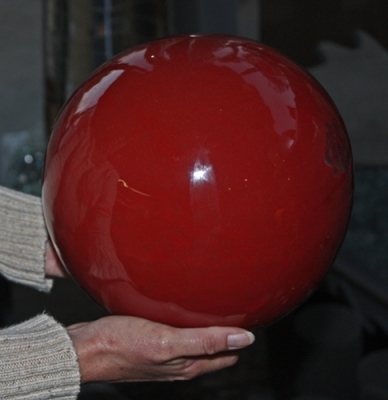 The base glass we tested on was Starfire Base Glass and several Toppers from customers testing Toppers colors while shopping at our Showroom.